To get the cost-effective solution at your convenient time, you can hire Zend web developers from Concetto Labs. Our Zend developers are immensely talented to solve any kind of challenges in the project execution. Our aim is to give more than our client’s expectation. We work to make the best among their competitors. Thus, you are at the right place if you are looking for exceptional talent. Zend is one of the best frameworks in the web development technology. By using the Zend framework one can make a user-friendly, attractive and highly integrated website. Moreover, it helps us to create an attractive web presence with reusable code. Development base of concetto labs for Zend development framework is commendable. We always try to fulfill the needs and expectation of our clients. We always recommend Zend framework when client demand the features like it. Our suggestion helps us to make our task more efficient and productive. This is because our dedicated Zend developers programmers are experts to get an advantageous result of their code. To know more about Zend web development and services review our portfolio. We offer various kind of service in the Zend development. 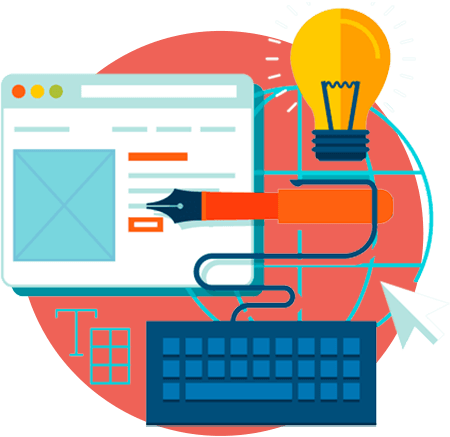 Hire Zend web developer to apply our services on your idea of imagination for your business development. Zend customize development is also helpful for application development. Concetto Lab has a huge experience in app development. Through Zend development you can create and modify the digital content. It supports to create a content management system. Our skillful Zend developers provide the convenient integration service with amazing design. We believe in maintaining customer relationship. We provide you 24*7 customer supports to solve your queries. Our developers develop a user-friendly and responsive website that can viewable on multiple devices. Developers work at Concetto Labs are very talented to deliver 100% satisfactory result to our clients. It helps you to boost your business. Zend allows to creating an attractive internet application. We built customization plug-in for our client for their convenience in development. Concetto Labs is one of the best mobile application and web application Development Company in India. We have covered more than 50 domains to explore our idea. We always follow the discrete working cycle for project deployment. Our success doesn’t rely on a single technology or a single person. It is because of us and the flexible environment that we have set in our place. Why should your first choice be Concetto Labs? We are always ready to work for you at an affordable price without compromising on the quality. We will provide you 24*7 supports until you will be fully satisfied with our work. We never compromises with our work quality. For us, quality is the priority. We ensure you to deliver the actual result that meets your requirement. We have more than 85% client retention rate that means almost all of our clients work with us continuously from their first project. They are still very happy to work with us. We expands our self with different technology. Thus, technology is not a barrier for us. We have talented developers in our team.